To Book for your healing share please use the online booking form below. If you have to pay by bank payment directly, then then use this form, choose the pay later option at the bottom or you can pay using your bank debit or credit card payment through PayPal (the safest way to pay online with verified users) is optional instead of through the bank. 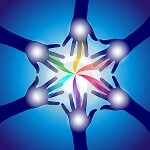 Please do remember that healing shares are great networking events. As a healer, practitioner or Master Trainer, you can get new experiences and meet new people and how you as a healer get healing yourself, a pamper. This is also the main way to get 5 CPD credits to get to your minimum 20 to 40 points annually. This keeps your skill levels up when you go to healing shares with experienced hosts who are full time practitioners, trainers who are practitioners because they deal with issues daily and they can share the benefit of their skills.